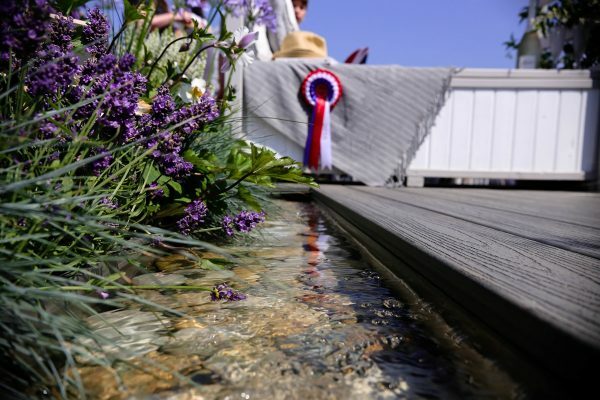 We were delighted to hear that Trex® decking made an appearance in a multi-award-winning show garden at the Royal Norfolk Show. 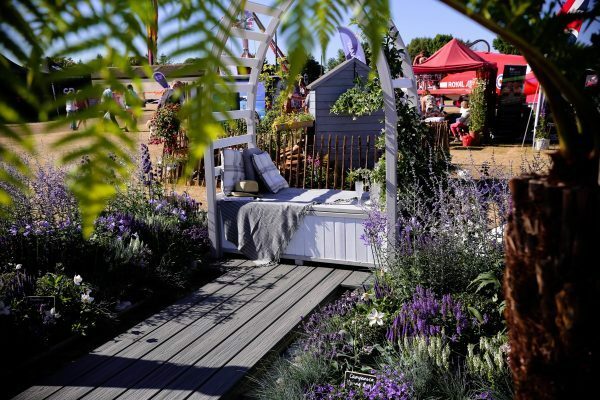 Designed by local garden designer Lucy’s Garden, in collaboration with landscape gardener Darren Barnes of Kingdom Landscapes, the show garden took home three accolades, including the Gold Medal prize, the Visitors’ Vote and the Best in Show. Head designer Lucy Besley has recently returned to her roots of garden design after over a decade working in supply chain management, and decided to boost her relatively new business by showcasing her skills in front of the 100,000 visitors to the Royal Norfolk Show. The Royal Norfolk Show invited gardeners to submit their designs ahead of the event for consideration, and Lucy’s show garden caught their eye sufficiently to allow her to develop her design further and take it to the show. Using the theme of the show, ‘coast’ as her inspiration, Lucy created a show garden which blends different materials and elements to create a perfectly tranquil space.. The garden featured Trex decking in Island Mist, our colour of the year last year, forming a pathway across a beautiful water feature with natural pebbles. The Trex pathway led to the focal point of the garden, a white arbour seat surrounded by complementary blue-coloured flowers and leafy plants. Lucy explained: “Creating the perfect show garden means using the best materials available, as using lower quality products will cheapen the appearance of the garden. Trex is a good example of this: the depth of colour and the beauty of the product really brought the garden together perfectly. As well as supplying the Trex for the show garden, Darren Gooch of Beams & Braces stepped in to install the decking. As both a supplier and installer, Darren is a big advocate of Trex – particularly where it’s being used in conjunction with other design elements. Darren explained: “Lucy’s design is a great example of the versatility of Trex as a decking material. The show garden fits with the recent trend within decking projects for more unusual installations – for example, as a surround or backdrop for a swimming pool, boathouse or a hot tub. 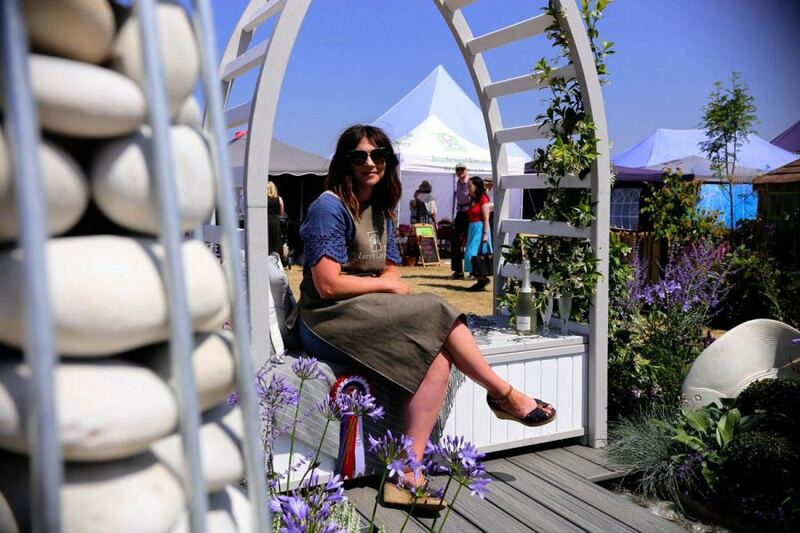 Not only did Lucy’s perfectly-balanced show garden take home a hat-trick of prizes from the Royal Norfolk Show, putting the display in front of 100,000 visitors has had a positive effect on Lucy’s business, and on her suppliers. In fact, Beams & Braces is now quoting for jobs throughout the rest of 2018 – and the unique properties of Trex mean that the decking installation ‘season’ now extends far beyond the summer, with people looking to start preparing for the following year. And once again, Lucy’s garden, with its central arbour seat complete with soft cushions and blankets, is an indication that gardens are increasingly being used as an extension of the indoor space: an ‘outdoor room’ as well as a garden. Lucy added: “Trex is perfect for people who are searching for a beautiful product that will last, whatever the weather. As a designer, I consider the full space as a whole, starting with a mood board to inform the design.